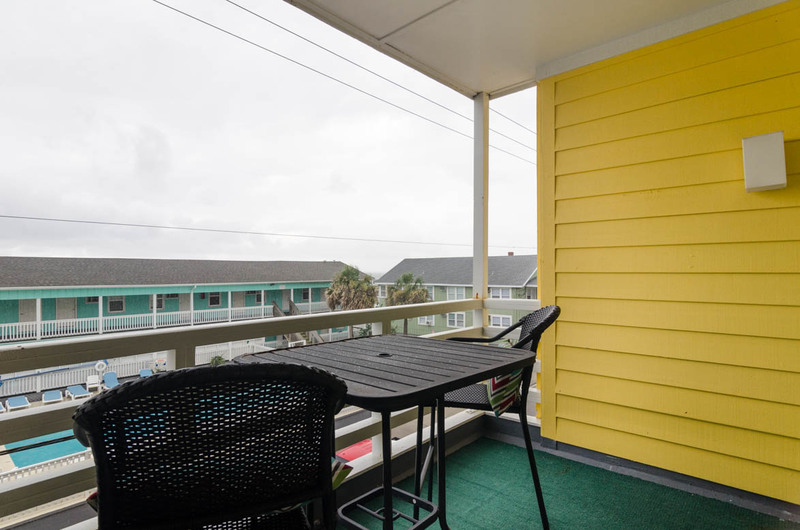 Enjoy views of the seasonal Carolina Beach Boardwalk rides and the Atlantic Ocean at this charming two-bedroom, two bath condo in the Beach Harbor complex. 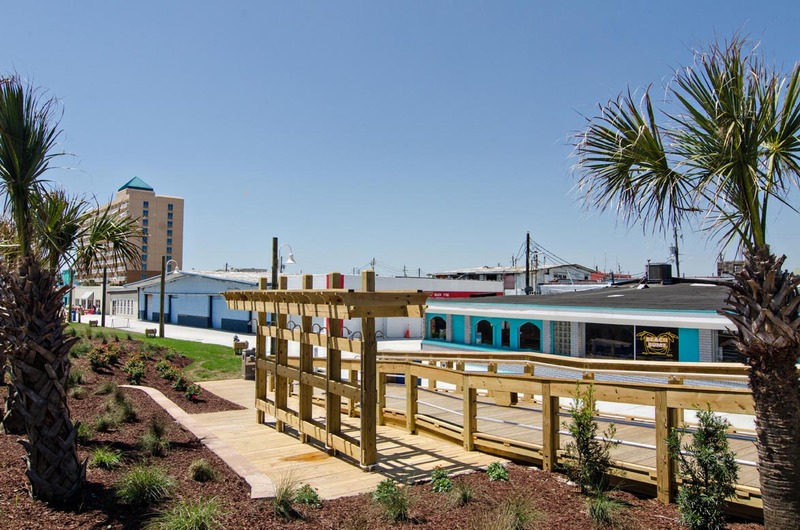 Two blocks away from the Boardwalk and one block from the beach puts your family in the perfect location to enjoy the best of what Carolina Beach has to offer. Don’t forget to visit the relaxing complex pool to cool off! 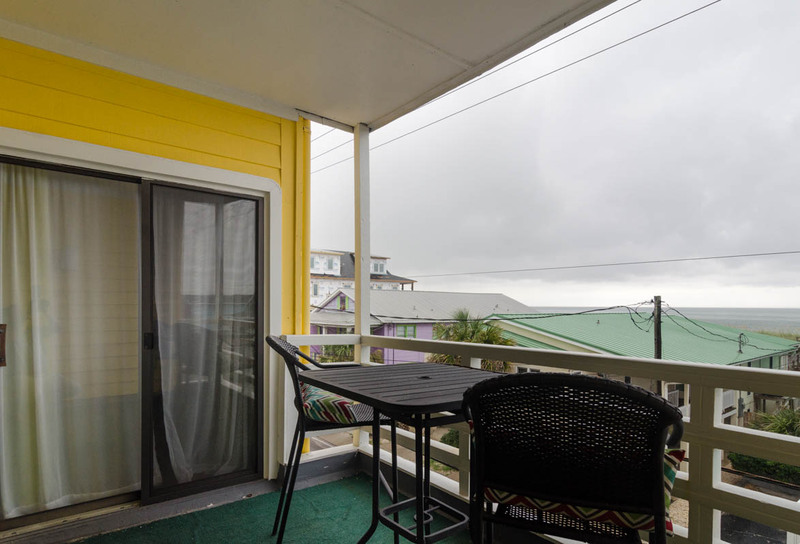 This second-floor unit has all the basics to make your stay enjoyable. The kitchen has an oven/stove combination, dishwasher, microwave, and refrigerator. 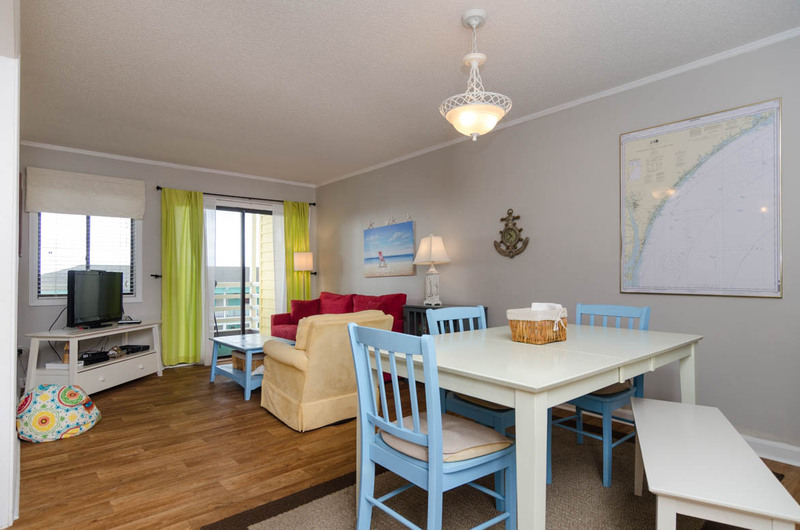 Enjoy seating for 5 at the dining room table and two bar stools so the family can enjoy a homecooked meal or takeout from one of the fantastic local restaurants. 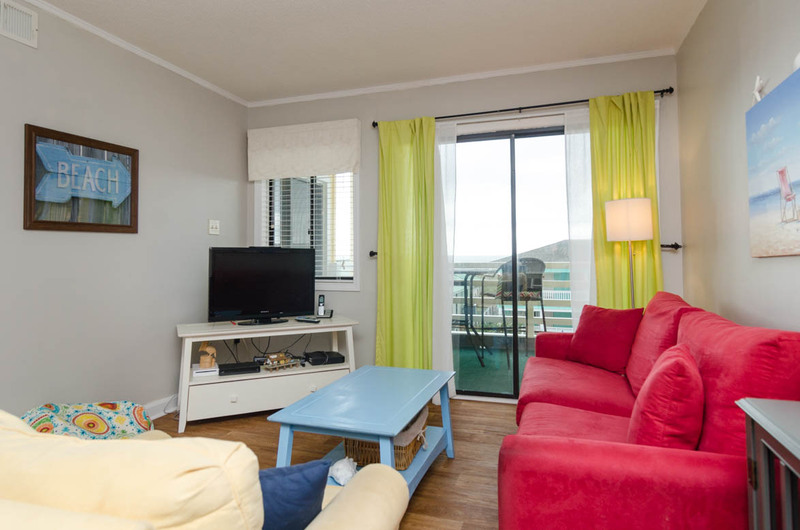 In the living room you will find seating and a TV for the whole family with a sleeper sofa and an oceanside deck. The master bedroom has a queen bed and an en-suite with standup shower and separate access to the deck. It also has a Smart TV to access your favorite streaming service- don't forget your account information! The guest room has two twin beds. Washer and dryer are in the unit and can be found in the hallway next to the full bathroom with shower/tub combination. 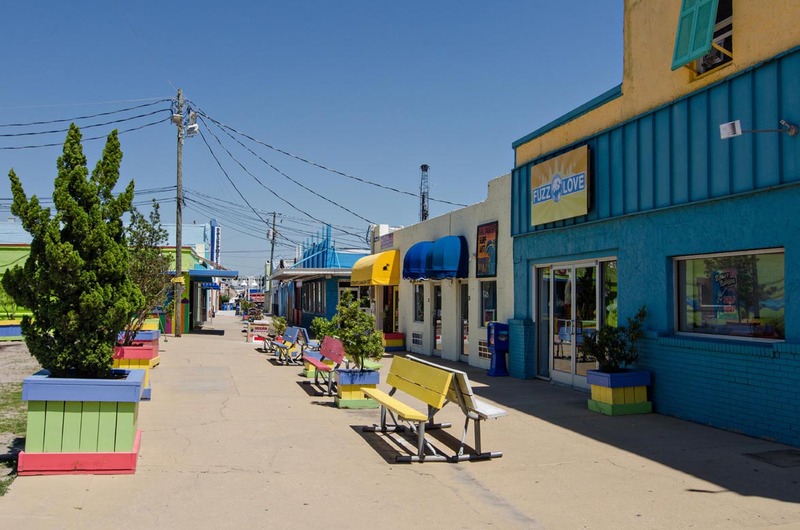 While you are at Carolina Beach during the summer, make sure to visit the Boardwalk, it has fun for all ages, and no one should go home without trying Britt's Donuts. 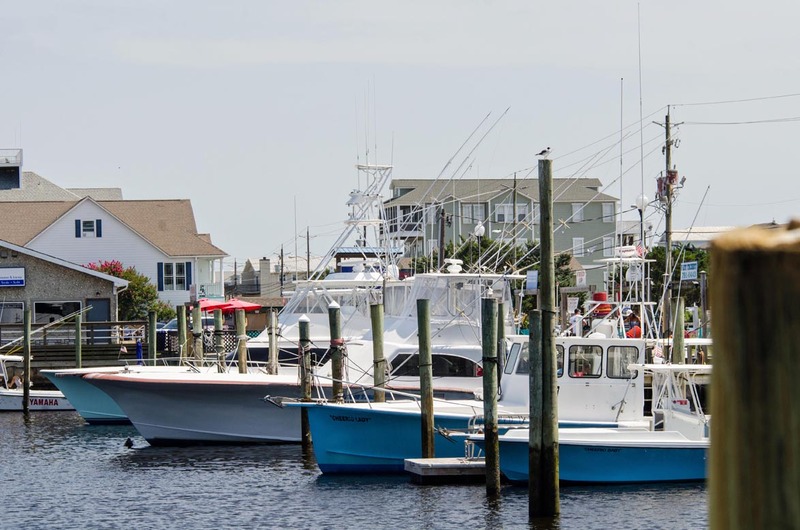 The NC Aquarium at nearby Kure Beach is open all year, and Downtown Wilmington is always exciting to visit. Make your plans today! This unit is non-smoking, and no pets are allowed. Parking for two vehicles. This rental was warm and inviting. Totally will make you feel at rest. 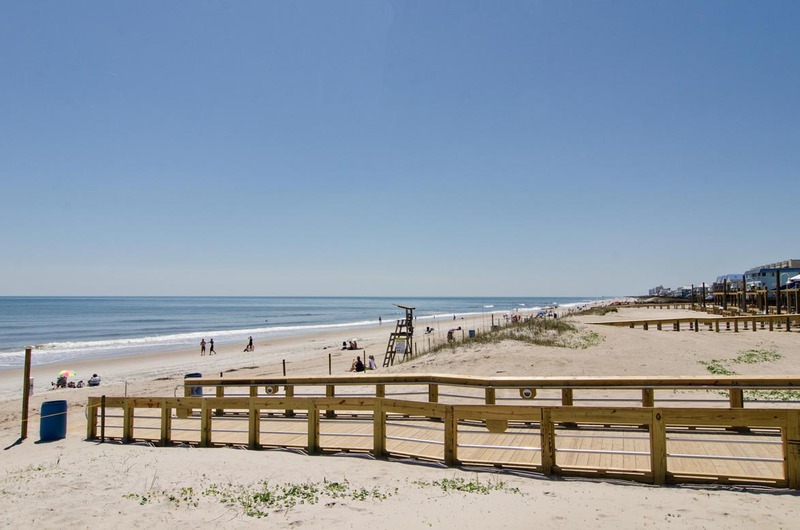 Very comfortable place that helped us have a relaxing week in Carolina Beach.